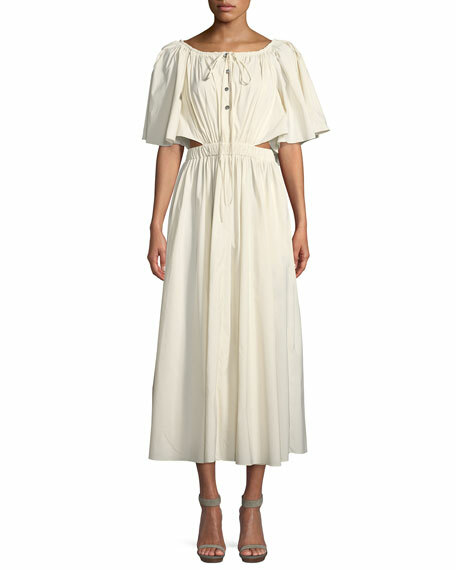 Rosie Assoulin woven midi dress. Short sleeves form back capelet. For in-store inquiries, use sku #2356060. 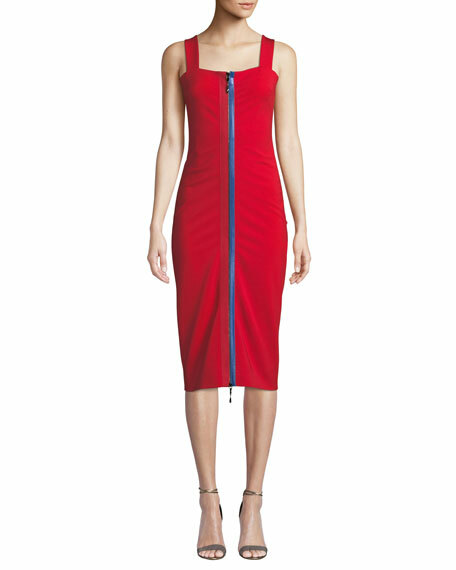 Alexander Wang cocktail dress in ribbed swim jersey. Crew neckline. Long sleeves. Cutouts at side bodice. Body-conscious silhouette. Mini length. Pullover style. Viscose/nylon/spandex. Imported. 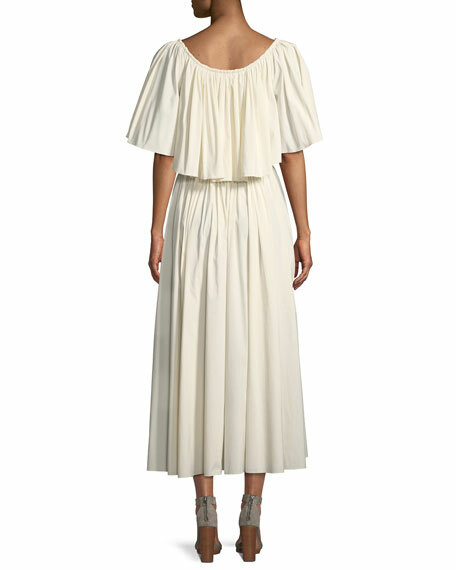 Cushnie cami dress. 2-way zip front with contrast trim. Square neckline & back. Sleeveless; thick straps. Fitted silhouette. Midi length. Viscose/nylon/spandex. Lining, silk/spandex. Dry clean. Made in USA of Italian materials. 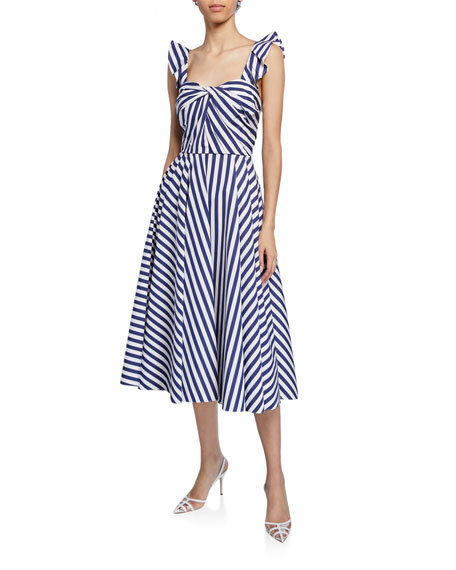 Jason Wu Collection dress in wide-striped cotton poplin. 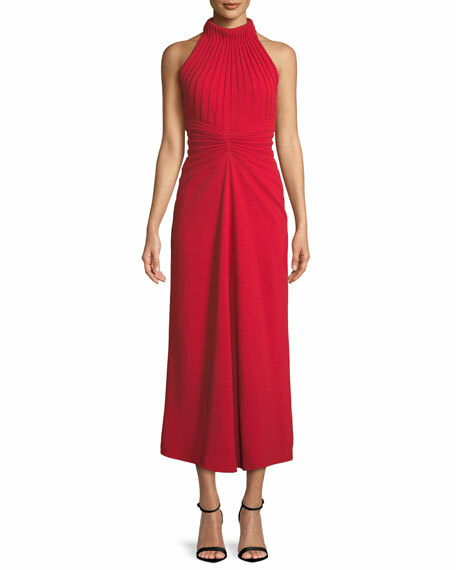 Sweetheart neckline with twist detail. Fluttered shoulder straps. A-line silhouette. Midi length. Back zip. Cotton. Cotton lining. Made in USA of imported material.